Don’t let pest birds take over your canopies and cause problems below. Instead, work with Pest Solutions today, and we will ensure that you are fully covered against feral pigeons, gulls, starlings, and all other common flying pests. As anyone with a canopy over their shopfront will already be aware, these areas present a tempting target to pest birds. Such locations offer a welcome respite from the elements and protect any nests built underneath from predators who might try to steal eggs. But while roosting underneath canopies might be beneficial to the birds, it can be a major nuisance for whoever owns the canopy itself. Nobody wants to share their shopfront with a flock of feral pigeons- but aside from this annoyance, there are also some very serious consequences that can come from a pest bird location in this key area of your property. 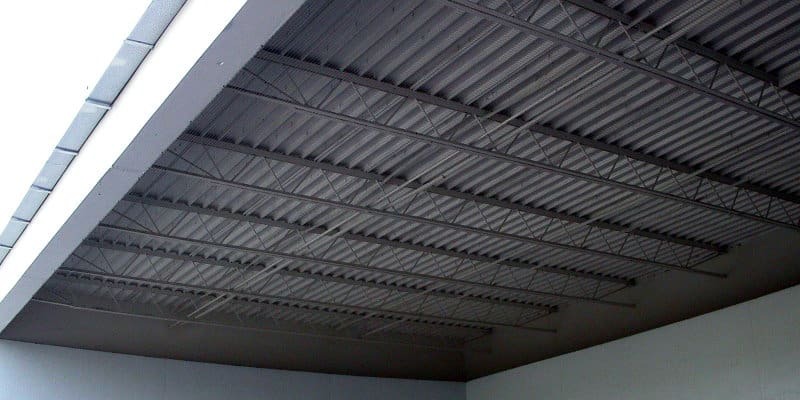 Canopies typically cover the main entrance of businesses, so you certainly don’t want to attract an infestation of pest birds there. The creatures themselves can pose a real health and safety risk. Not only do they often carry all manner of harmful diseases, but gulls, in particular, can become aggressive when guarding their nests and may therefore swoop down to attack passers-by. What’s more, the bird droppings can be even more of a hazard. In addition to spreading those same diseases from the pest birds themselves, but bird fouling will rapidly build up if not cleaned and then prove to be extremely slippery. Not only will your customers and staff alike be at risk of contracting illnesses from a pest bird infestation, but they may also have an accident and fall and hurt themselves. Should this happen, then your business will be held liable- so it’s best to keep feral pigeons, starlings, and other pest birds well away from your canopies to begin with. Fortunately, Pest Solutions are here to help keep your shopfront and other canopies bird-free for the foreseeable future. How Do Pest Solutions Keep Pest Birds Away from Canopies? The main advantage of these tough nylon nets is that they are so durable. Other, more cheaply-made nets will easily fall victim to pest birds’ sharp talons and therefore won’t keep these winged menaces out for very long. In addition, your chosen netting needs to be strong enough to cope with the often-harsh British weather. The last thing you want is for your netting to get torn during a storm since it can be extremely expensive to continually call in pest control experts to replace the damaged nets. Instead, it is much more cost-effective in the long term to simply install high-quality netting in the first place- and that’s therefore exactly what we do here at Pest Solutions. Don’t Share Your Property with Pest Birds- Call Pest Solutions Today! As pest control experts, the Pest Solutions team are perfectly equipped to deal with any and all pest problems you might be experiencing. Our technicians can quickly and efficiently fit the right netting to suit your canopy and ensure that pest birds have nowhere to hide. If the problem persists, or if netting isn’t your best option, then we can easily come up with an alternative solution that will deliver the results that you need. In fact, we’re delighted to offer free surveys to anyone interested in our surveys. This helps us decide on the best approach before we start work, allowing us to get the job done that much quicker. It also means we can give you an accurate up-front quote- so no nasty surprises further down the line. Pest birds need to be dealt with, or they will continue to cause problems for your business. Don’t put off taking action- instead, it’s time to call in the experts at Pest Solutions. Contact us now by phoning 0800 027 2555 and see for yourself just what a difference we can make.